An emergency can strike at any moment, from a natural disaster to crime and panic in the streets. In order to always have the tools you need on hand to survive, it’s important to focus on lightweight survival gear to keep from weighing you down as you make your escape. You could build your own survival kit, but it’s easy to forget something important. Luckily, there are a variety of kits out there that can help you get started creating your bug-out bag with lightweight survival gear already included. This gives you a good foundation for a survival kit and you can always add more later. Here are five essential elements to include in your survival gear for almost any emergency. There are a variety of items that can help make life easier in an emergency situation. Think about what you will need for the top four needs: food, shelter, water, and fire. While having a fully stocked bunker may be out of reach for some to get ready, a simple all-in-one survival kit can go a long way to helping one get ready for apocalypse and is infinitely cheaper. For instance, making a fire can be easier with waterproof matches or a lighter or even a flint. You can include one or all three, in the event that one method fails, and barely put a dent in your budget. The kit should be small enough to carry in a vest pocket and black in color to make it more stealthy as well. You don’t want other people to know that you are prepared when they’re not as it can make you a target for theft and violence. Include items to help you catch fish or trap animals and to light fires, stay warm, to fix things, and get help when needed. It should include a compass so that you can get your bearings and know which way to head out of an emergency situation. Just about anything can be included in a survival kit, although then it might not be as compact as necessary to be a kit you can carry everywhere with you. It’s up to you to decide whether it’s worth carrying iodine pills in case of radioactive fallout or water purification tablets or filters in it too. It’s also a good idea to have more than one survival kit. One for the car. One to carry on your person at all times, and one in your home. You have no idea when you will need any of the items in it, and it should be tested out long before the emergency strikes to make sure it will work when it must later on. If you want something that you can go at it double-fisted to fight Zombie hordes, then a lightweight hatchet can do the trick. It works double duty by being a weapon as well as a way to cut kindling for fire wood. You want it lightweight enough to keep you from wasting precious calories using it and you want it sturdy and sharp enough to do be able to do the job. It should come with a lifetime warranty, although should society collapse, it’s unlikely anyone will be around to honor it. To keep it super-sharp, make sure you get an ax and knife sharpener too, as this will undoubtedly be hard to come by as well. When it comes to tools, nothing beats a good survival knife or hatchet. You will want to consider how easy it is to sharpen, to fix, and to maintain in order to keep your tools in optimum condition. Some survivalists want a knife or hatchet that attaches to the outside of a pack so that it is easily retrieved in an emergency. One with a loop can be handy for this reason. It should be lightweight to make it easier to carry, if you end up on foot on your way out of a problem zone. It should also be balanced well, so that it splits wood easily. A compact size can make it easier to carry, but can also affect how much wood you can split at one time. Every emergency situation is different and requires a strategy to make sure you come out alive. In the case of a natural disaster, you’ll want to be as visible as possible so that rescuers can find you and aide you quickly. However, if you’re sleeping when they’re going by in helicopters overhead, they may not notice you on the ground. An orange tent can help increase the chances of being spotted in the case of natural disaster and one that is lightweight can be less than two pounds to carry. If you’re trying to hide away from hordes of starving survivors, then one that blends in with the environment would be better. However, pick one that has some insulation in it to keep warm, which has sturdy tent pegs so that it doesn’t break if you find yourself without help longer than you desired. It should be easy to pack and carry and easy to assemble. You don’t want to waste too much time trying to figure out how to set it up in the event of an emergency, especially when it is pouring outside and every minute counts to stay warm and dry. This kit has been very well thought out. It comes with a survival blanket, a Gerber miniature multi-tool, fire starter, a snare wire, fishing and sewing kit, and a Bear Grylls Priorities of Surivial pocket guide. It is packed in a lightweight nylon bag and weighs only 9.4 ounces. It has a knife, a small reflective mirror, waterproof matches, and hand saw. Although it is water resistant, it’s not exactly waterproof. As a starter kit, it’s an excellent choice because it is an “out-of-the-box” solution. 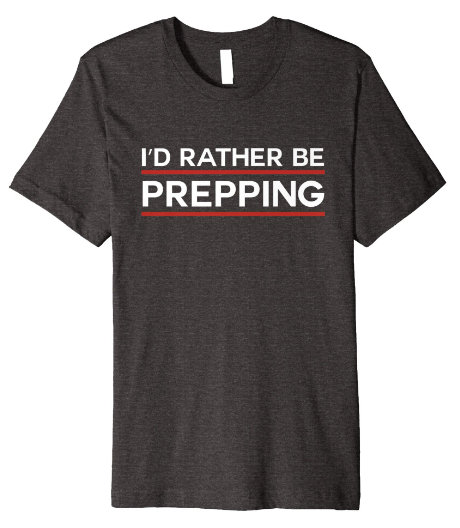 However, for more advanced preppers, it might seem like it’s missing a few important elements. Small and Lightweight - It has a small compact size and it is easy to carry on your person anywhere you go. “All-in-One” Starter Kit - You don’t have to assemble your own kit since it’s done for you and includes many items that are essential in a survival situation. Water-Resistant - The kit is water-resistant, in the event you’re bugging out during a light rain storm.Inexpensive - The kit is cheap enough to buy two or three at a time. No Compass - This is a major faux pas in terms of trying to find out where you might need to head in the event of an emergency. 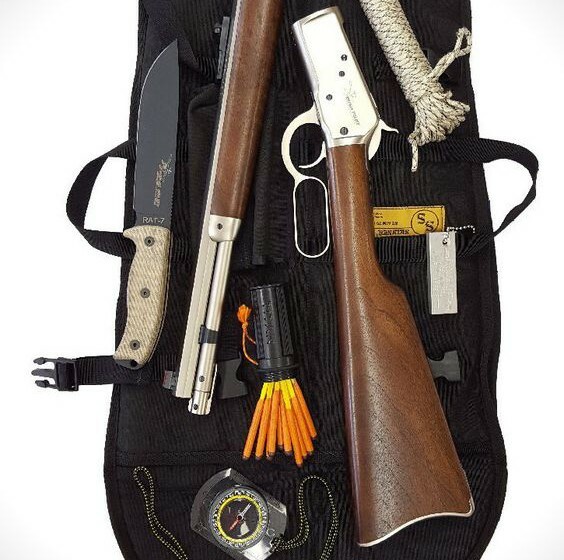 If you were to create your own survivalist kit, it’s certainly something you would include on your own. No Water Storage - Unless you’re counting on the ziplock bag to be your permanent portable water storage container, you’re simply out of luck. Since it’s essential to carry water at all times, this is also another item that should be included in the kit. 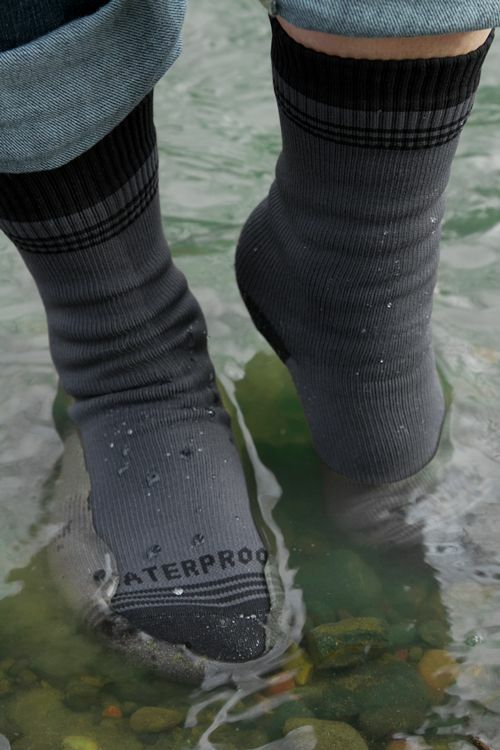 Not Watertight - If you end up in a severe downpour or in a river, odds are your kit will end up waterlogged. Items Picked For You - The quality and durability or even practicality of the items in the kit is determined by someone else. If you want a higher quality knife, it has to fit in this compact arrangement, making it hard to modify the kit to your liking. If the Indians carried them, it sure makes sense for a survivalist to have one handy. Unlike their tomahawks, your’s is a more modern version that should be ergonomically suited to do heavy work, even as it is light and easy to carry. It should be able to cut wood easily and repeatedly. Rubber Handle - Unlike more rustic versions, the rubber handle makes it more comfortable to hold and easier to grip. One-Piece So Head Doesn’t Rattle - It is not an ax head mounted on a handle. It’s all one-piece, making it unlikely for the head to come loose or break easily. Wedge Shape - The shape is excellent for splitting kindling.Extremely Durable - Due to the design and material, a forged carbon steel, it is extremely durable. Very Sharp - The edge can be sharpened down to make wood shavings too.Lightweight - It only weighs 1 lbs 14 ounces. It’s lightweight enough to carry one in each hand. Inexpensive - For this type of durable, reliable, hatchet, the price is a total bargain. Cutting Face Small - The compact design also means the cutting face can be smaller than needed for larger jobs. Blade Cover Takes Up Too Much Space - The cover is plastic and bulky. It can, however, be easily replaced with a leather cover. No Way To Fasten It To The Outside of a Pack - If you’re going to replace the cover, you might as well add a loop to carry it outside your pack for easy access. This is a tube tent that you have to set up with sticks or in between two trees. It does not come with tent poles. The aluminum-coated interior is supposed to insulate the tube tent, but it’s not an all-weather tent. If you’re looking for shelter in a pinch, though, it does the job. Orange Color - This makes it highly visible and rescuers can have an easier time locating you. On the other hand, if you’re trying to fly under the radar, it could be a con. Lightweight - It weighs 1.6 lbs.Insulated - The aluminum-coated interior is a type of insulation that can keep your body warm in chilly or somewhat damp weather. Water Resistant - It can help to keep the drizzle out too. Steel Pegs - The pegs are not going to break or fail you. Inexpensive - It is easy on the budget compared to other tents. No Tent Poles - This can make it more compact, but also harder to assemble. Can Be Hard to Set Up - It depends on if you can find good sticks or two trees close to each other to get the tent up with the small cord available. Cord Is Short and Poor Quality - You’ll need to get a larger portion of paracord to make sure you have enough length to set up the tent and that the cord will last. A Bit Bulky To Pack Small - This isn’t suitable for carrying in a small pack on your person. It’s more a tent that you can store in your car. While all this gear can help in an emergency situation, the clear winner is the lightweight hatchet. With it, you can defend yourself and you can make kindling for a fire. As any good survivalist knows, you can make shelter with sticks, moss, and a hatchet can make short work of that project too. Even though a tent is a good idea, it has to be available to a person to make use of it. If it’s stuck in your car and you have no way to get to it, the hatchet that is available will be of more use. 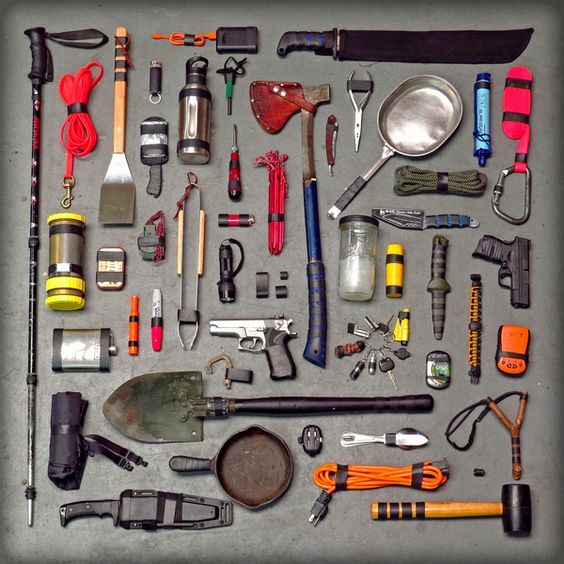 The survivalist kit, while a great runner-up, has the disadvantage of not being able to pick and choose the quality of those items, like the knife or the cords. It’s likely you’d want to upgrade those to top-notch quality, like the hatchet. Also, it does not come with water storage capabilities or even water purification or filtration, which is the most important survival item you must locate and obtain after safely getting out of an emergency. Thus, if this was a situation of what item would work best in a survivalist situation, the hatchet would be the first choice for its top quality and the ability to use it for hunting, tool-making, fire and shelter building, and, finally, defense. It will get you out of a sticky situation, and then you can have time to hunt down the water.